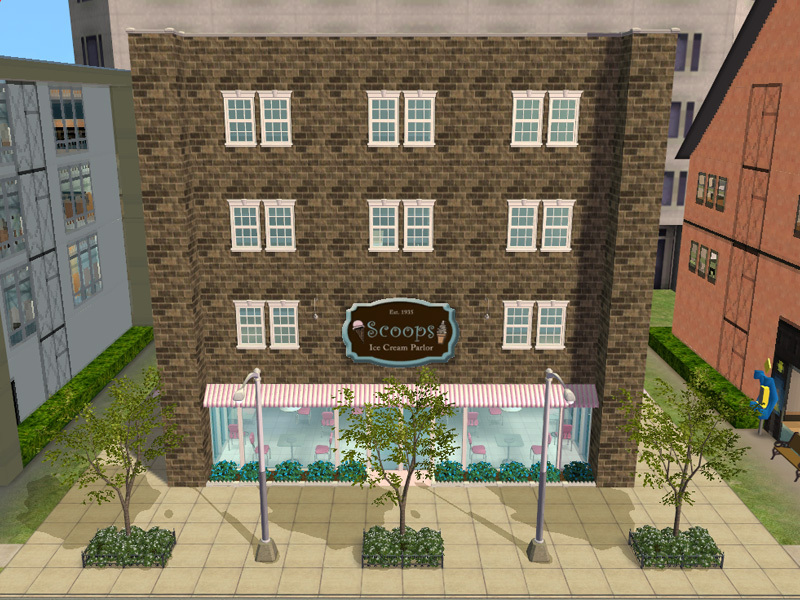 The 'Scoops' building features a restaurant on the ground floor and apartments on the floors above. 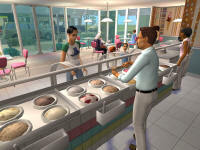 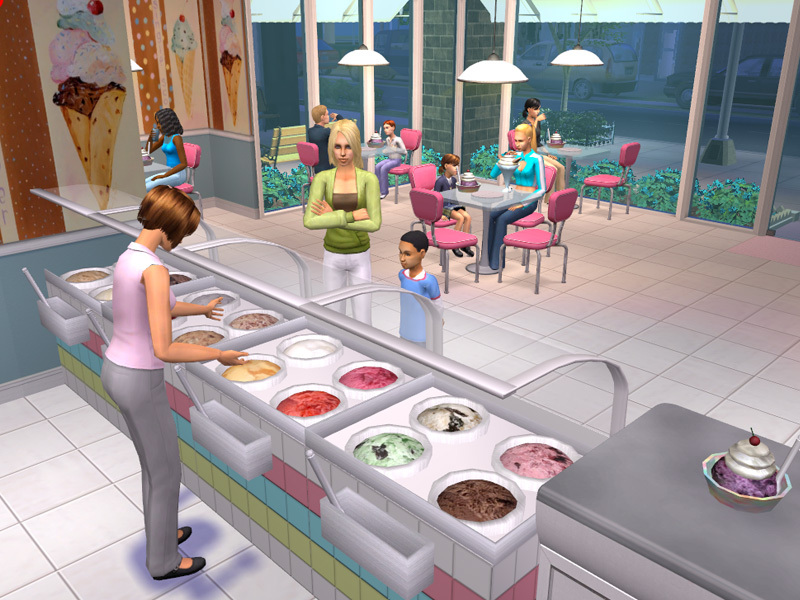 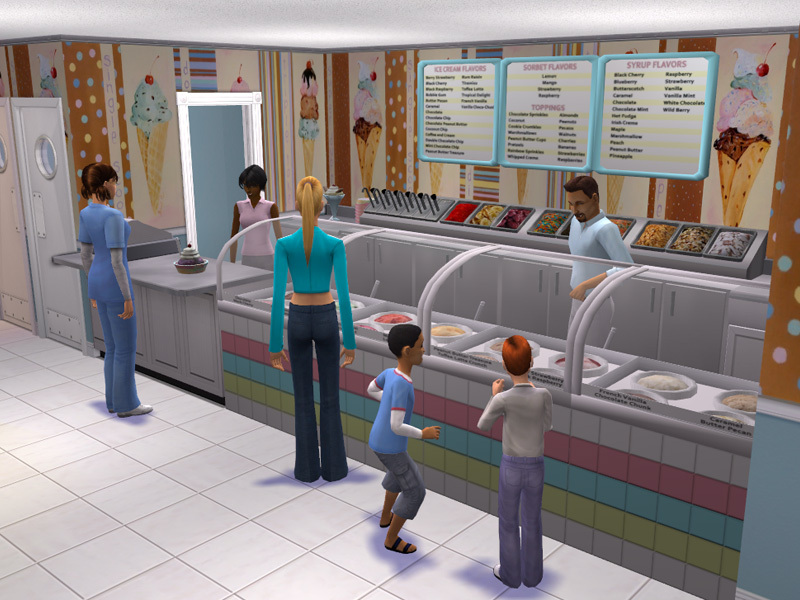 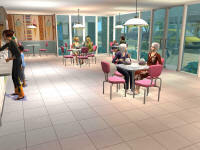 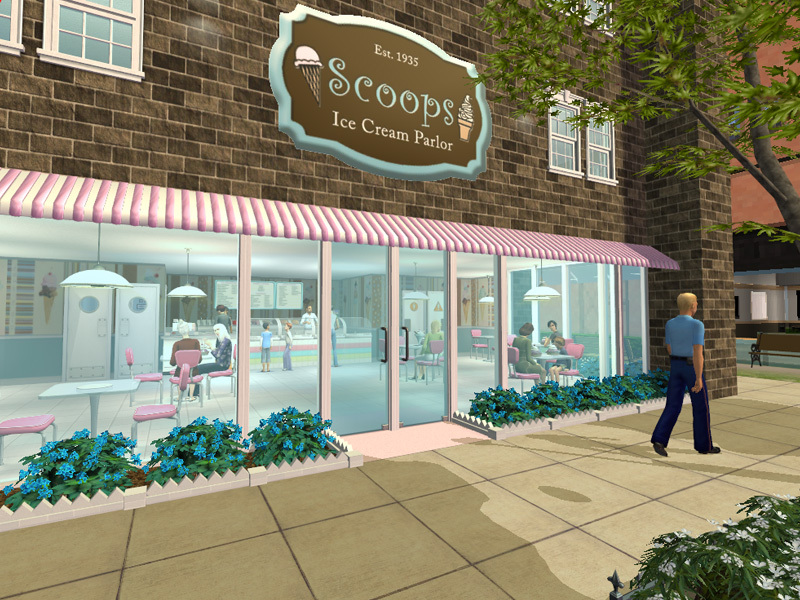 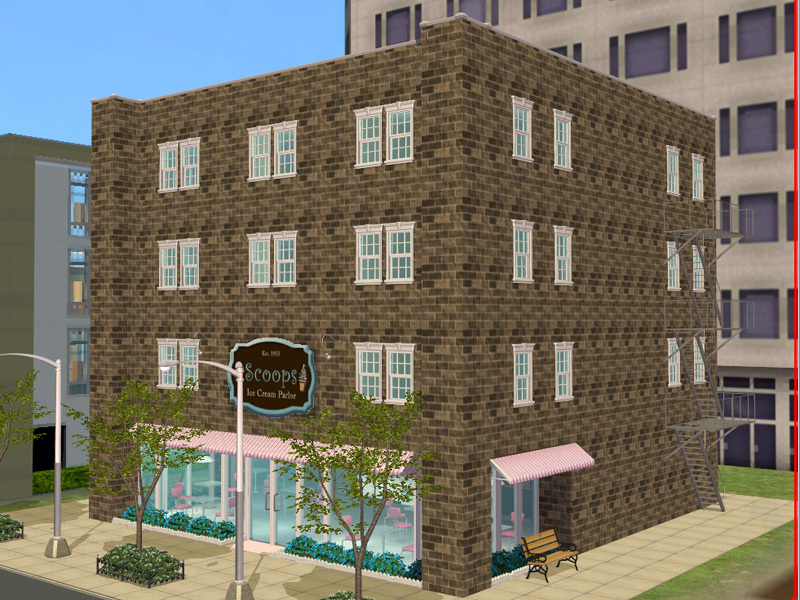 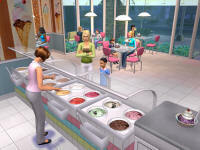 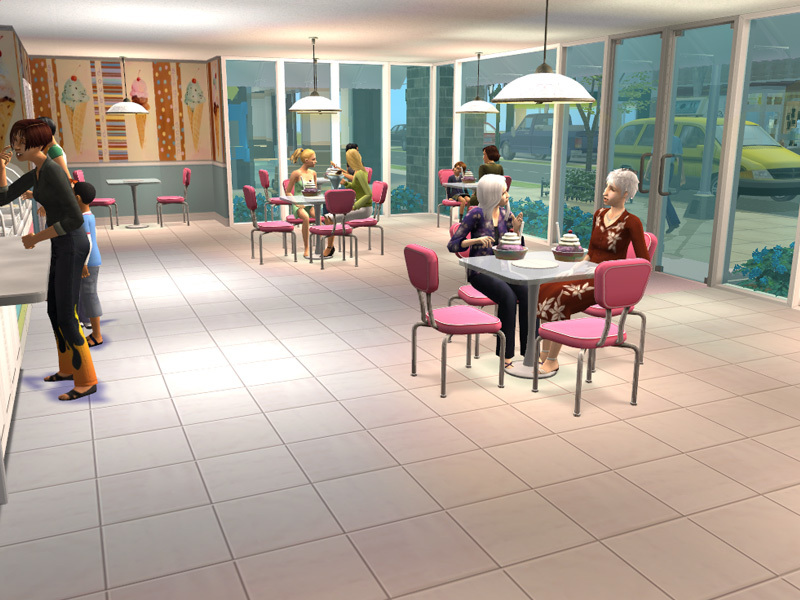 The Ice Cream Parlor includes a dining area, order counter, restrooms and kitchen. Note that the Host Podium is set to 'invisible' mode so the host appears to be standing at the register. 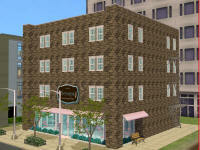 There are six 1-bedroom/1-bathroom apartments. 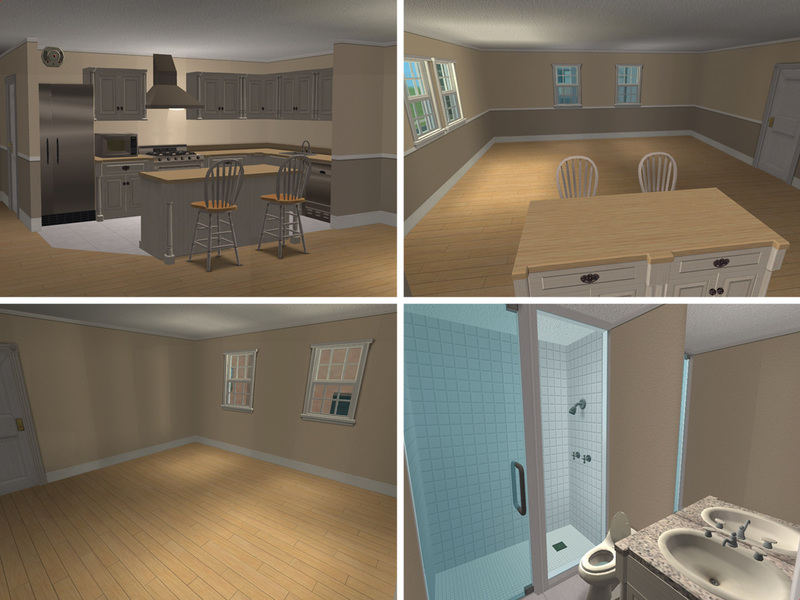 Each is painted in neutral tones and unfurnished except for the kitchen and bath. Crocobaura at MTS2 has created Ice Cream foods (Chocolate, Vanilla and Mango/Watermelon) that can be served in the restaurant.